Cancellation Policy: Until 15 days before arrival date. In case of no show total amount of the balance will be charged on your credit card. In case of late cancellation 1 night will be charged on your credit card. 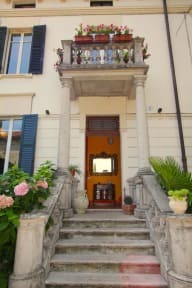 A B&B few steps from historical centre of Verona .The Bed And Breakfast La Magnolia is located 450 mts far from Verona Porta Nuova Railway Station, with fast links with Padova and Venice. 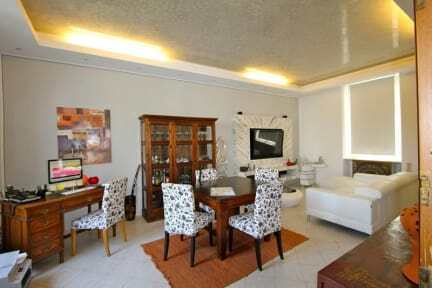 We are just 900 mts from the historical centre, easily reachable by car or by walk. It is extremely easy to reach Arena and piazza Bra, Verona Fair, and public transport means, which link Verona with Garda Lake. Our Bed and Breakfast is an ideal base in order to perform a complete visit in Verona, beacuse we are in a strategic position: Arena and Piazza Brà, Juliet's House and Balcony , Modern Art Gallery, Castelvecchio, Roman Teather, and many other monuments or interesting points. The rich and varied breakfast is served in the large and bright dining room and, in the summery period, in the garden. It's based on delicious cakes, freshly croissants, yogurt, cereals, bread , butter, jam, ham, fresh fruit, coffee, milk, tea and creamy capuccino. It is available free wireless internet connection. We will provide you with a set of keys for independent access to the B&B. Our willingness and kindness will give you a comfortable and pleasant stay.